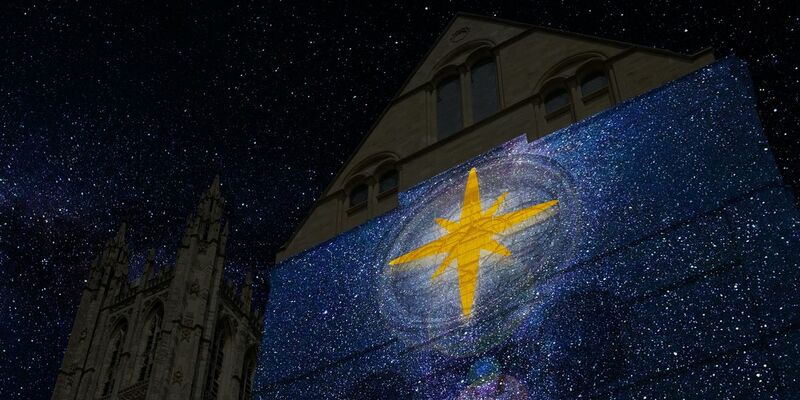 Canterbury Cathedral is to be lit up with a spectacular light show on Friday 21 December as part of the Church of England’s 2018 Advent and Christmas campaign #FollowTheStar. The Lumiere will be projected onto the south side of the Cathedral and will be part of Choral Evensong as the weekend before Christmas begins. The Archbishop of Canterbury, the Most Revd Justin Welby, will be attending the Lumiere event and all are welcome by coming to Evensong in the Quire at 5.30pm and joining the procession outside during the service or by gathering in the Precincts by 5.45pm in time for the light show to begin. A similar event will take place simultaneously at Durham Cathedral – celebrating the links the two buildings share as ancient destinations for pilgrims, and modern day World Heritage Sites. The Lumiere has been produced in partnership with The Projection Studio, which has masterminded projections for the London 2012 Olympics, Lumiere Durham, and a permanent installation on the Blackpool Tower.